Okay, seriously folks, we’re a month into 2019 whether I am ready for it or not. It being February in New England, it is cold, snow is on the horizon, and the greys and browns of the landscape are, well, blah and uninspiring. Being the summer girl that I am, I don’t believe in waking up before it’s light outside and I would prefer to hibernate in my bed with a slew of good books surrounding me and a hot cup of tea in hand. That being said, it’s the perfect time to tackle the TBR (to be read) list. I entered 2019 in a kind of limbo state where I feel neither here nor there. This is reflected in my reading plan for the year: I want to read ALL the good books out there… kind of like the person who comes into the library asking if we have any “good books” here. In the past, I printed or downloaded all the reading challenges I could find (GoodReads, BookRiot’s Read Harder challenge, Classics Club challenge, 1001 Books You Must Read Before You Die, etc) and charted my progress in both handwritten and electronic reading logs. I had a crazy, convoluted reading schedule that involved reading many types of books at once at different times of day and sometimes in different formats. In the infamous words of Susan Powter, “Stop the Insanity!” (insert gif) I WILL NEVER BE ABLE TO READ ALL THE GOOD BOOKS IN THE WORLD. And, that’s a good thing really, because it means I won’t ever run out of good books to read. This year, I pledged on GoodReads to read 100 books, and if they happen to coincide with any other challenges out there, great. That’s it… nothing too specific. I will simply read books that appeal to me and can ease, excite or inform my mind. Maybe this will be the year I learn to merely skim a “required” book (like a book club assignment) when it doesn’t happen to rock my world. Let this be my reading manifesto for year 2019. 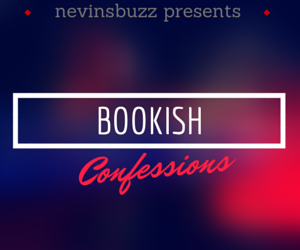 Categories: Bookish Confessions | Tags: BookRiot, GoodReads, Reading Challenge, reading goal, TBR | Permalink.